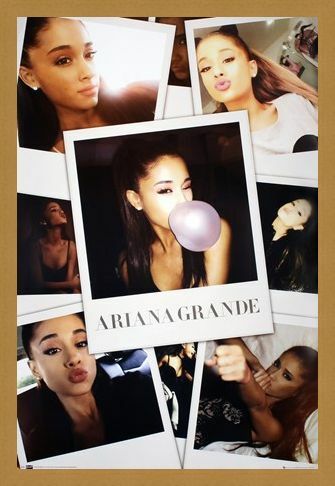 Music Maxi Poster: Born to be in the limelight, Ariana Grande began her career as a Nickelodeon TV star in the teen sitcom 'Victorious'. She has since gone on to form a successful music career, releasing hit singles 'Break Free' and 'Bang Bang', and has also been nominated for a series of awards. 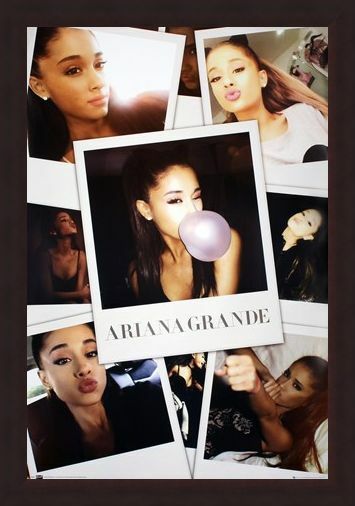 Looking as gorgeous as ever in this poster, Ariana can be seen winking and pouting playfully for the camera in a series of selfies. If you're a fan of this talented pop princess, this will make the ideal addition to your collection. High quality, framed A Rising Star, Ariana Grande poster with a bespoke frame by our custom framing service.